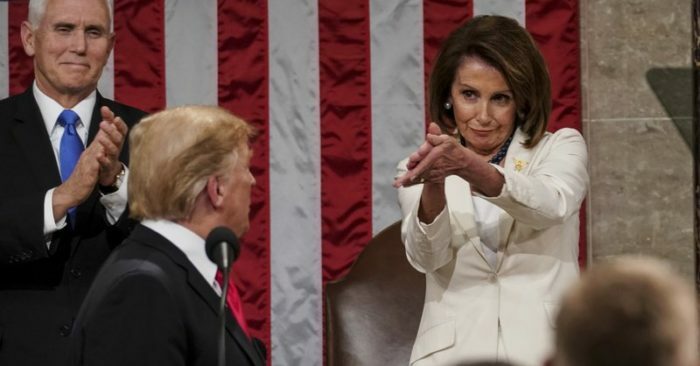 House Speaker Nancy Pelosi looked President Donald Trump in the eye and applauded him, pointing her hands at him even as she made them clap. 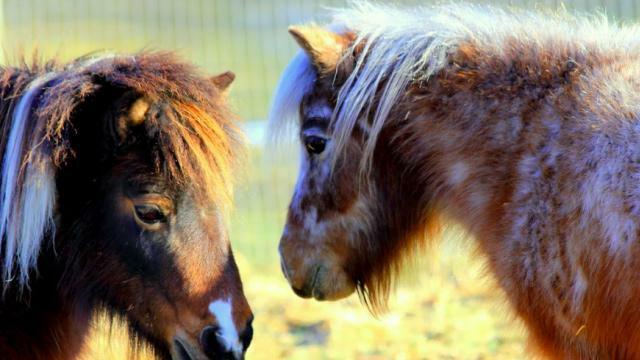 As soon as he looked away, she did, too — and smirked. 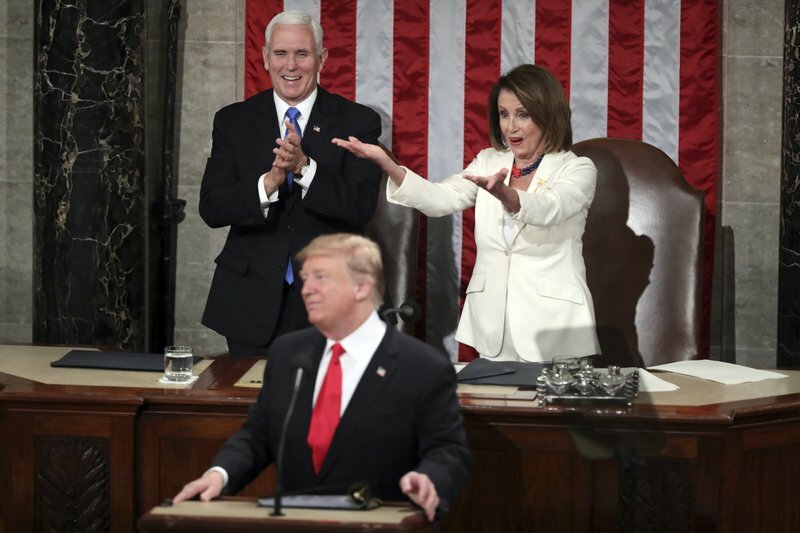 That set the distinctly Pelosi-esque tone of respecting the office of the president, if not the man who currently occupies it, an approach she’d openly take throughout Trump’s nationally broadcast speech to a joint session of Congress. It was his first under divided government, with the white-clad Pelosi the backdrop of every word he uttered. And it came after she forced him to agree Jan. 25 to reopen the government with zero dollars for his border wall. Throughout the address, she threw her special brand of shade at Trump — an eye roll here, a chuckle there — even as she raised a hand to shush outbursts of groaning among the Democrats who flipped the House from Republican control. 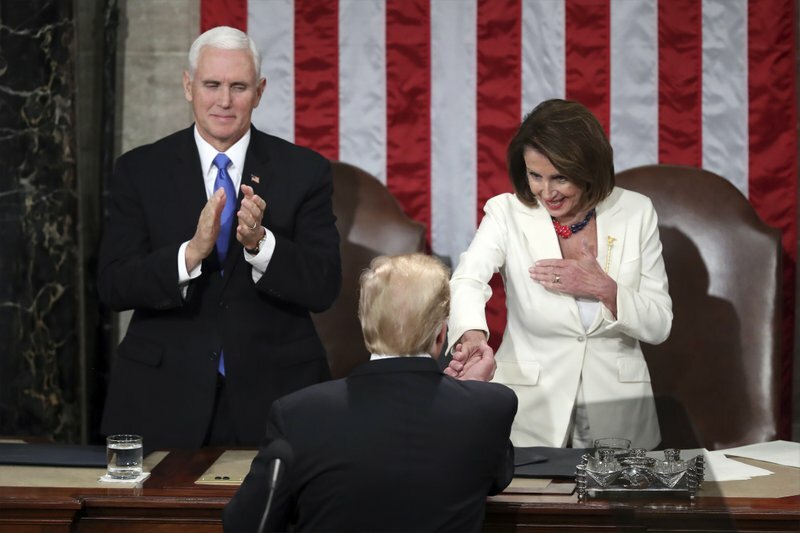 At one point, when Trump saluted the record number of women serving in Congress, Pelosi stood and gestured to the sea of new lawmakers dressed in white on the Democratic side of the aisle. They leapt to their feet, pointed to each other and high-fived. Pelosi stood and reached out with both hands to acknowledge them. In the Oval Office in January, she maintained a respectful stance but warned Trump: “Don’t characterize the strength that I bring.” And afterward in another private meeting, Pelosi said Trump’s demand for a southern border wall is a “manhood thing” — a comment immediately leaked to the media. Then there was Pelosi’s invitation to deliver the speech, her suggestion that he postpone it because of the shutdown, and her formal dis-invitation. When Trump capitulated to a deal that reopened the government until Feb. 15, Pelosi re-issued the invitation to the House chamber, her control of the event established. Postponed a week, the evening began without the customary opening of the speaker pounding the gavel, calling the chamber to order and presenting the president. 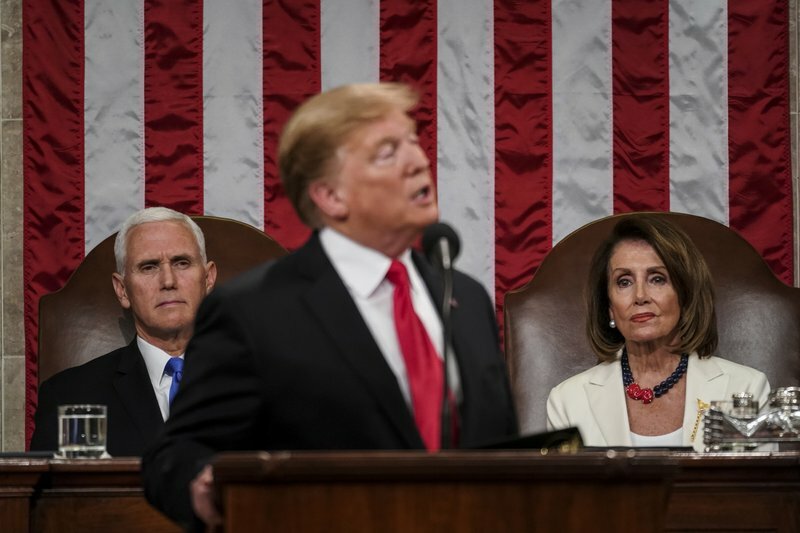 Pelosi stood at the lectern behind Trump, gavel on the desk in front of her, apparently ready to perform the task. Instead of allowing the introduction, Trump began delivering his speech. Pelosi, second in line to the presidency, sat — but she stayed animated. Pelosi applauded Trump’s mentions of a strong military and creating jobs. But when Trump posited that the nation’s “economic miracle” can only be interrupted by “foolish wars, politics or ridiculous partisan investigations,” she rolled her eyes. A camera zoomed in on House intelligence Committee Chairman Adam Schiff, who this week said he would do everything possible to make sure special counsel Robert Mueller’s investigation into Russian ties to Trump’s 2016 campaign is made public. Schiff smiled. “If there is going to be peace and legislation there cannot be war and war and investigation,” Trump said. Pelosi held up a hand below shoulder level and threw a glance in their direction to quiet down.